It’s been five years since the last major update of the Roku interface. The company has changed radically since then, and the experience hasn’t kept pace. It must change, and soon. 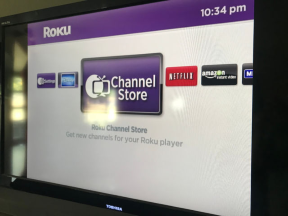 channels that were then available, Roku needed to make it easier for customers to browse their ever-increasing channels list. The company switched the ‘My Channels’ screen from a single horizontally-oriented ribbon of channels to a 3×3 grid that scrolled up and down. It also added space for one banner ad, visible when the customer scrolled right from the menu onto the first channel in the list. In 2013, Roku was a streaming box company. Practically all its revenue came from the sale of hardware. The only competition came from the first Apple TV and the newly released Chromecast. Fire TV did not release until one year later. The interface redesign supported the company’s goal of selling hardware. The simple user experience was a key selling point for customers as it allowed fast access to the most popular services. Five years on from the last major interface update, Roku is a very different company. Hardware sales represent only 42% of total revenue. Platform sales dominate, generating 58% of revenue and increasing 96% year-over-year (YoY.) Ad sales deliver two-thirds of platform revenue and are the primary driver of the growth. Much of the ad-revenue growth is coming from the Roku Channel, the company’s free, advertising-supported channel. The simplicity of the Roku interface is still an important selling point for the boxes. Given that the average SVOD home has 2.8 services, a typical user can get to a channel of interest in at most three remote clicks. However, other devices, like Android TV on Nvidia Shield, can match that trick. An obsession with simplicity served Roku well while its business was the sale of streaming boxes. It does not serve the business of advertising well at all. The My Channels display is the starting point for just about every viewing session on Roku. 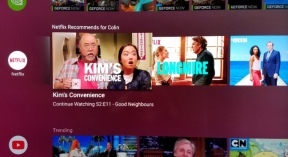 The single ad visible there is used to advertise new channels, new content, and frequently The Roku Channel. The ad shown rotates every time a user comes back to the display. However, it probably doesn’t deliver many ad impressions. Most people likely pass through the My Channels display on their way to Netflix or another favorite service. Simply put, the My Channels display does not do enough to support Roku’s business goals. It needs to become a place of discovery as well as a place to connect with favorite services. Not that I’m advocating the company redesign the screen to include lots of ads. That would likely be counterproductive. Luckily, a redesign that better supports the company’s advertising business does not necessarily mean a poorer experience for users. Finding ways to help customers connect with new channels and content they might like from the home screen could be viewed favorably by users. It also can help them find The Roku Channel and its content. Netflix is quite tedious using the current interface. Other interfaces, like the new version of Android TV, surface recently watched shows from Netflix directly on the home screen. The feature makes picking up from where a viewer left off a snap. The folks at Roku surely recognize the limitations of the current user interface. Hopefully, they are busy redesigning it to align better with company goals, improve the user experience, and retain the simplicity for which the company is renown. If not, the company’s design team needs to get busy. 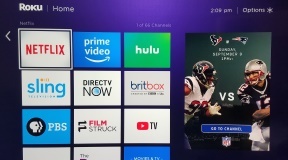 The last major Roku interface redesign occurred in 2013. It supported the company’s primary revenue driver – box sales – by making the experience very simple. Today, Roku’s growth and future are dependent on advertising sales. The existing interface does a poor job of supporting the company’s current needs. Expect a redesigned experience from the company soon. All good points, but 2 comments to add: 1) According to the many people we talk to who use OTT TV platforms, one of the most important UX advantages Roku seems to maintain is simplicity and ease of use. This likely one of the main reasons Roku stays on top of this market despite the 800 lb gorillas chasing them (Apple, Amazon, Google); 2) Since moving from Brightscript to SceneGraph app framework over the past year, the individual Roku channel UX potential has improved dramatically for developers. Our apps on Brightscript were clunky and not very pretty. 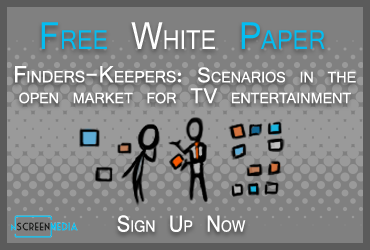 Now, our Roku apps are compared to Netflix and Hulu by our clients, in terms of visual UX. Roku should of course remain ahead of the UX game, but never sacrifice simplicity and ease of use.